Train services between Denmark and Germany have been stopped because of exceptional passport checks at border, introduced amid the worsening refugee crisis, according to a statement by Denmark's state owned train operator DSB. Passport checks at the German-Danish border, as well as in the Danish towns of Padborg and Rodby, led to “long delays” in international rail services on Wednesday, DSB said. About 100 migrants, who arrived to the Danish port city of Rodby from Germany, refused to leave the train, having no wish to be registered in the country according to the EU rules, Danish police spokeswoman Anne Soe told AP. In southern Denmark, police had to shut off a section of highway to stop a march of a large group of migrants, who were chanting "Sweden, Sweden," according to the local media, AP reported. 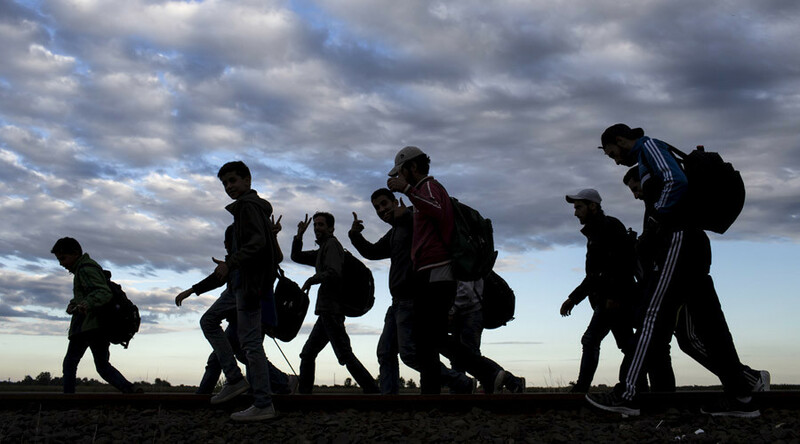 More than 300 refugees, including children, entered Denmark on foot from Germany, Reuters reported. For many refugees, Denmark is a transit country in their attempt to reach Sweden, a Scandinavian country with a much more open policy towards asylum seekers. EU countries have recently been flooded by hundreds of thousands of people, fleeing war and violence in the Middle East and Africa. European Commission President Jean-Claude Juncker said on Wednesday that since the beginning of 2015 about 500,000 people had come to Europe, many Syrians and Libyans among them. He also urged EU member states to "compulsorily" relocate 160,000 migrants within the EU in the next two years.